The book opens with a short prologue: “England and France in the New World,” which tells the story of the English and French settlements in North America up to 1759. The story begins with the arrival of Peter Demo at Quebec. 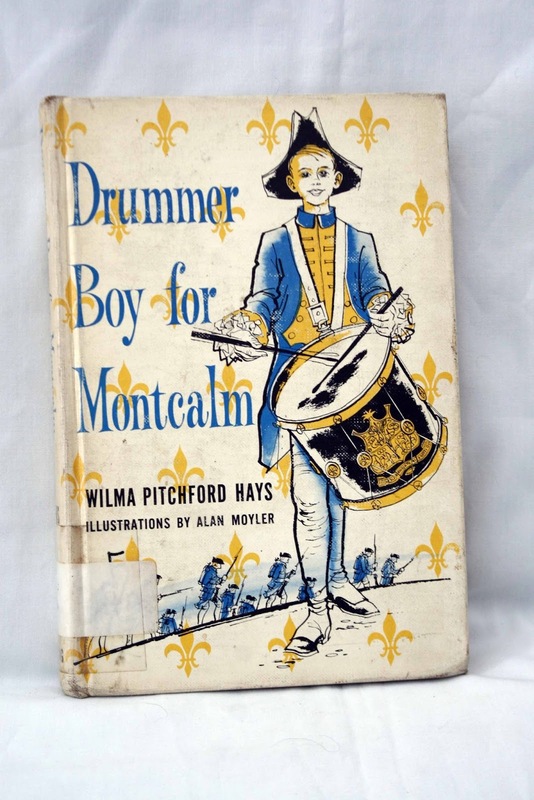 Peter, an orphan, joins a ship of recruits sailing to reinforce General Montcalm’s army in Quebec. There he befriends a courier du bois named Philippe d’Argons. Peter wants to be a courier du bois himself, but first he needs money to get started. He is accepted as a worker for the Grand Company of Associates, which he quickly discovers is a corrupt monopoly. Peter and Philippe work to return stolen furs to the Indians and Peter has to leave his job with the Grand Company. 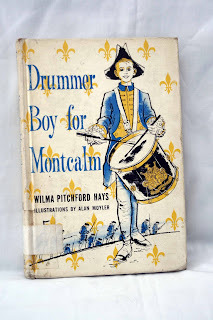 He then becomes a drummer boy with Montcalm’s forces, follows the French army during the siege of Quebec, and makes friends with an Indian named Bomazeen. When Quebec finally surrenders, Peter and Bomazeen become fur traders in the region of Lake Champlain. An epilogue details what happened to Peter Demo (who was a real person) and the Grand Company of Associates. On the dust jacket, Mrs. Hays states that she “followed closely the true incidents of battle, the details of weather and its effects upon the siege.” This is a true statement, for her story is impressively researched. This is no generic fiction that is randomly set in an era; rather this book is steeped in 1759 Quebec. Commanders’ names and personalities are here. Songs of the era are sung by the soldiers. Even the thievery of the pompously named Grand Company of Associates is chronicled. Interestingly, Mrs. Hays uses actual quotes for historic figures whenever possible. The speech of the Ottawa chief is chronicled by Captain Bougainville in his journal (1). Nearly all of General Montcalm’s lines are recorded in history. In addition to its research, this book also has a chronology for the siege of Quebec in the back of the book. This book is a labor of love, and a charming look at the 1759 siege of Quebec.